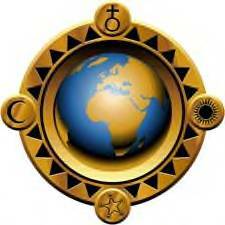 As I continue my journey into astrology, it continues to prove there is a Supreme Being that governs this universe. With the study of this occult art, when one comes to the end of the road, a new path in the shrubs appears, and if one is courageous enough to plow through the bush to the other side, a whole new world is on the horizon, awaiting one. With the study of the stars one must not only be adventurous in exploring the new areas, but also remember where we came from, and to study the old classics. In this modern fast paced world, it is easy in ignoring and simplifying the steps to reach a final conclusion. I must admit that when one applies all the rules and aphorisms that come with the old school in this modern age, the answer may not come fast enough before the deed is done. But giving up on the time honored method is not a solution either and we need to improvise without loosing the essence of the delineation of the chart. One of Morin’s rules for the solar return is to always look for the ruler of the ascendant to help point and clarify what might be important in the coming year. I have used this rule for all the houses in the natal chart and it has given a subtle and accurate prediction of the situation that which I never expected. It seems to me that looking through the eyes of the Lord and Ruler of the house and sign it is in, is like looking through 3 D glasses, a whole new world is revealed. How the Lord and Ruler see his subjects, and how his subjects, the planets in the house, see and react to their Lord. I have never been able to really relate to the word, Lord or Ruler, but when I replaced the word with CEO, manger or supervisor, suddenly stories of what is happening in the house is made plain. Is the manager happy in its position, and in what department or division is he working with? Is the manger working well in the house he is in, and is he in good relations to his workers? Do the workers feel the manager is working on their behalf and for the company? Is there some sort of reception or aspect between the manager and the workers? As one can see by exploring these areas in a more detailed and modern way, one’s delineation of a chart becomes more colorful, clearer and dimensional in what is happening to the individual and his complexities. The outcome is never simply black and white, but the whole hue of the colors of grey, which in this day and age is a truer interpretation of what is going on in our lives. Another thing I noticed is that when a transit aspects the Ruler, even though it is not in its own house, the house is somewhat effected. I have also noticed that if a transit aspect a planet that is either malefic or benefic to the Ruler, the house will be affected slightly in ways not expected. It is like the manager that has been given a bonus for work well done, how do the workers feel? Are they also rewarded? Or if the manager is laid off, how does this affect the worker under his supervision? Seeing the planets and their reaction in this light, gives us a clearer picture and a delineation of the chart with insight and compassion. So my advice for a chart interpretation for others or yourself is to prepare the delineation with empathy, concern and wisdom, by putting on your 3 D glasses and to see through the eyes and mind of the Ruler and the Lord of the different houses. The aspect of change as indicated by the stars and planets is in the air, the manifestations has taken forms that has surprised some and confirmed the predictions for others, which indicates that more surprises are yet to come. As change in some areas of the world has taken on the form of revolution and unrest, the New Moon at 13 Aries 29 at 7:33 a.m. PDT on April 3rd 2011 echoes to each of us individually the words of Shakespeare “to thine own self be true”. With six planets in the sign of Aries and the New Moon conjunct Jupiter in opposition to Saturn, the importance of understanding, arranging and organizing our thoughts will give us the basis to make sensitive and sensible decisions for our future. The important ingredient is being honest and truthful to ourselves to whom we really are and want to be, and to what we really want in life, and to how we are going to achieve the final results in this world. The time to implement the change is now. With Mercury Retrograde the need to be cautious and meticulous in what we listen to, to what we read, the directions our thoughts take, and the conclusions we finally end up with, is of the utmost important at this time. Besides going within our sacred portal to find our true self, we need to be alert and have the wisdom to use all our assets and talents to achieve and reach our real desires and wishes. 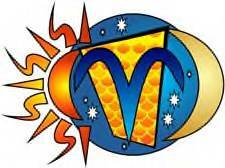 “The Sabian symbol for the 14th degree of Aries is taken from “The Sabian Symbols in Astrology by Marc Edmund Jones”, and what follows are my comments. Aries 14 A serpent coiling near a man and a woman This is a symbol of the threefold nature of man, in its aspect of a high competency on the subjective side. There are here the emotional and rational elements of selfhood as they achieve their unity through creative ordering of a universal wisdom. Implicit in the phallic significance is a fullness of being following on the everyday satisfaction of ordinary human appetites, but only as these are made manifestation of a higher appreciation and a greater self-dedication. The keyword is revelation. When positive, the degree is exceptional self-discipline in the continual acquisition of a very real understanding, and when negative, a surrender to lower or transient impulses in every area of personal experience. To begin to understand who we are, and to work with the best of what we are, we need to comprehend the threefold aspect of how we see ourselves. To begin with, we consider our selves to be the mirror image of the Divine Creator working with a material body with our ordinary human appetites and desires in which we deal with on a daily basis. At the same time our higher Self is reaching and exploring areas we need to fulfill and accomplish to carry out the reason for our existence in this lifetime. The revelation and the truth of the matter is that these separate parts of our nature are one, but we need to recognize and work with that truth. Once we realize and recognize that the separate aspects of our self are all working for the good of the individual, and then we won’t see them in opposition. Once we find our true self and understand who that person is and wants to be, the paths begins to merge into that one road which leads to the accomplishment of our dreams and desires. 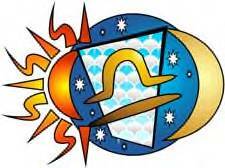 As we find our true self, we will achieve the message of this New Moon “to thine own self be true”.